The news about blueberries keeps getting better and better. In 2004, USDA researchers revealed that compounds in blueberries lowered cholesterol by stimulating proteins in liver cells that reduce blood fat. Three years later, a Rutgers University study showed that pterostilbene, a compound in blueberries, reduced inflammation and the rate of cell division in the human colon, long believed to be risk factors in bowel cancer. In 2008, scientists at the University of Reading in Great Britain showed that adding blueberries to the diet improved memory and possibly protected against Alzheimer’s disease. Now the British Medical Journal reports that a daily serving of blueberries reduces the risk of diabetes in humans by 26 percent. Type 2 diabetes is a serious metabolic disease characterized by high blood glucose and low insulin efficiency. It reduces people’s life span by an average of 10 years and can cause blindness, heart disease, strokes, and kidney failure. It is now epidemic in the Western world, having risen from 30 million cases in 1985 to an estimated 285 million in 2013. To some extent it is a social cost of an unsustainable one-dimensional industrial food system that emphasizes foods heavy in sugar and fats. The wait for political and economic reform of the food system could take decades. In the meantime, people can take immediate action by returning to a healthy diet, the foundation of a healthy lifestyle. 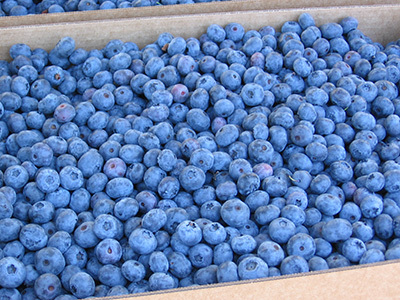 Each summer local growers offer u-pick opportunities and bulk sales of blueberries that add up to significant savings over single package purchases. 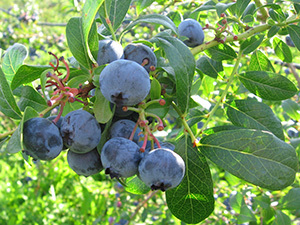 Blueberries freeze readily and can be eaten throughout the year in cereals, salads, and desserts. Hippocrates, the father of Western medicine, said, “Let food be thy medicine and medicine be thy food.” If he were alive today, he would be thinking of blueberries.